This outstanding example of a 2019 Honda Pilot LX is offered by Fernandez Honda San Antonio. Want more room? Want more style? This Honda Pilot is the vehicle for you. This is about the time when you're saying it is too good to be true, and let us be the one's to tell you, it is absolutely true. You've found the one you've been looking for. Your dream car. The Honda Pilot LX will provide you with everything you have always wanted in a car -- Quality, Reliability, and Character. Fernandez Honda San Antonio is excited to offer this 2019 Honda Pilot. Want more room? Want more style? This Honda Pilot is the vehicle for you. The look is unmistakably Honda, the smooth contours and cutting-edge technology of this Honda Pilot LX will definitely turn heads. You've found the one you've been looking for. Your dream car. The Honda Pilot LX will provide you with everything you have always wanted in a car -- Quality, Reliability, and Character. Contact Fernandez Honda San Antonio today for information on dozens of vehicles like this 2019 Honda Pilot LX. This SUV gives you versatility, style and comfort all in one vehicle. Just what you've been looking for. With quality in mind, this vehicle is the perfect addition to take home. The look is unmistakably Honda, the smooth contours and cutting-edge technology of this Honda Pilot LX will definitely turn heads. You can finally stop searching... You've found the one you've been looking for. Contact Fernandez Honda San Antonio today for information on dozens of vehicles like this 2019 Honda Pilot EX. Want more room? Want more style? This Honda Pilot is the vehicle for you. Just what you've been looking for. With quality in mind, this vehicle is the perfect addition to take home. This is the one. Just what you've been looking for. You've found the one you've been looking for. Your dream car. Contact Fernandez Honda San Antonio today for information on dozens of vehicles like this 2019 Honda Pilot EX. Want more room? Want more style? This Honda Pilot is the vehicle for you. Enjoy the comfort and safety of this AWD Honda Pilot EX equipped with many standard features found on other vehicles as optional equipment. Based on the superb condition of this vehicle, along with the options and color, this Honda Pilot EX is sure to sell fast. You can finally stop searching... You've found the one you've been looking for. Contact Fernandez Honda San Antonio today for information on dozens of vehicles like this 2019 Honda Pilot EX-L. This SUV gives you versatility, style and comfort all in one vehicle. You've found the one you've been looking for. Your dream car. There is no reason why you shouldn't buy this Honda Pilot EX-L. It is incomparable for the price and quality. Based on the superb condition of this vehicle, along with the options and color, this Honda Pilot EX-L is sure to sell fast. This 2019 Honda Pilot EX-L is proudly offered by Fernandez Honda San Antonio Want more room? Want more style? This Honda Pilot is the vehicle for you. This is about the time when you're saying it is too good to be true, and let us be the one's to tell you, it is absolutely true. Just what you've been looking for. With quality in mind, this vehicle is the perfect addition to take home. This is the one. Just what you've been looking for. Contact Fernandez Honda San Antonio today for information on dozens of vehicles like this 2019 Honda Pilot EX-L. Want more room? Want more style? This Honda Pilot is the vehicle for you. There is no reason why you shouldn't buy this Honda Pilot EX-L. It is incomparable for the price and quality. The Honda Pilot EX-L will provide you with everything you have always wanted in a car -- Quality, Reliability, and Character. This vehicle won't last long, take it home today. Contact Fernandez Honda San Antonio today for information on dozens of vehicles like this 2019 Honda Pilot EX-L. Want more room? Want more style? This Honda Pilot is the vehicle for you. Just what you've been looking for. With quality in mind, this vehicle is the perfect addition to take home. You can finally stop searching... You've found the one you've been looking for. You've found the one you've been looking for. Your dream car. Contact Fernandez Honda San Antonio today for information on dozens of vehicles like this 2019 Honda Pilot EX-L. This SUV gives you versatility, style and comfort all in one vehicle. This is about the time when you're saying it is too good to be true, and let us be the one's to tell you, it is absolutely true. This is the one. Just what you've been looking for. You could keep looking, but why? You've found the perfect vehicle right here. Contact Fernandez Honda San Antonio today for information on dozens of vehicles like this 2019 Honda Pilot EX-L. Want more room? Want more style? This Honda Pilot is the vehicle for you. Based on the superb condition of this vehicle, along with the options and color, this Honda Pilot EX-L is sure to sell fast. Just what you've been looking for. With quality in mind, this vehicle is the perfect addition to take home. You've found the one you've been looking for. Your dream car. 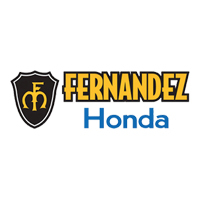 This 2019 Honda Pilot EX-L is offered to you for sale by Fernandez Honda San Antonio. This SUV gives you versatility, style and comfort all in one vehicle. The Honda Pilot EX-L will provide you with everything you have always wanted in a car -- Quality, Reliability, and Character. There is no reason why you shouldn't buy this Honda Pilot EX-L. It is incomparable for the price and quality. You could keep looking, but why? You've found the perfect vehicle right here. This 2019 Honda Pilot EX-L is proudly offered by Fernandez Honda San Antonio This SUV gives you versatility, style and comfort all in one vehicle. This vehicle won't last long, take it home today. The Honda Pilot EX-L will provide you with everything you have always wanted in a car -- Quality, Reliability, and Character. There is no reason why you shouldn't buy this Honda Pilot EX-L. It is incomparable for the price and quality. Contact Fernandez Honda San Antonio today for information on dozens of vehicles like this 2019 Honda Pilot EX-L. This SUV gives you versatility, style and comfort all in one vehicle. Just what you've been looking for. With quality in mind, this vehicle is the perfect addition to take home. There is no reason why you shouldn't buy this Honda Pilot EX-L. It is incomparable for the price and quality. The Honda Pilot EX-L will provide you with everything you have always wanted in a car -- Quality, Reliability, and Character. Contact Fernandez Honda San Antonio today for information on dozens of vehicles like this 2019 Honda Pilot EX-L. This SUV gives you versatility, style and comfort all in one vehicle. You can finally stop searching... You've found the one you've been looking for. Just what you've been looking for. With quality in mind, this vehicle is the perfect addition to take home. Based on the superb condition of this vehicle, along with the options and color, this Honda Pilot EX-L is sure to sell fast. Contact Fernandez Honda San Antonio today for information on dozens of vehicles like this 2019 Honda Pilot EX-L. Want more room? Want more style? This Honda Pilot is the vehicle for you. Navigate through all the icky weather with ease in this AWD-equipped Honda Pilot, and even get non-stop traction for your non-stop lifestyle! In addition to the amazing traction control, you may even qualify for an insurance reduction with this AWD vehicle. There is no reason why you shouldn't buy this Honda Pilot EX-L. It is incomparable for the price and quality. The look is unmistakably Honda, the smooth contours and cutting-edge technology of this Honda Pilot EX-L will definitely turn heads. Contact Fernandez Honda San Antonio today for information on dozens of vehicles like this 2019 Honda Pilot EX-L. Want more room? Want more style? This Honda Pilot is the vehicle for you. Savor the satisfaction of safety in any condition with this AWD Honda Pilot. Superior acceleration, unmatched traction and stability as well as a luxurious interior round out the impressive features of this AWD Honda Pilot. The look is unmistakably Honda, the smooth contours and cutting-edge technology of this Honda Pilot EX-L will definitely turn heads. You've found the one you've been looking for. Your dream car. You can find this 2019 Honda Pilot EX-L and many others like it at Fernandez Honda San Antonio. Want more room? Want more style? This Honda Pilot is the vehicle for you. You could keep looking, but why? You've found the perfect vehicle right here. There is no reason why you shouldn't buy this Honda Pilot EX-L. It is incomparable for the price and quality. Just what you've been looking for. With quality in mind, this vehicle is the perfect addition to take home. This outstanding example of a 2019 Honda Pilot EX-L is offered by Fernandez Honda San Antonio. Want more room? Want more style? This Honda Pilot is the vehicle for you. There is no reason why you shouldn't buy this Honda Pilot EX-L. It is incomparable for the price and quality. You can finally stop searching... You've found the one you've been looking for. This vehicle won't last long, take it home today.